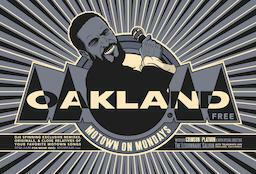 Motown on Mondays (#MOMoak) includes DJs spinning exclusive remixes, originals, & close relatives of Motown inspired songs with Oakland Residents: DJ MALACHI (LuvLuv Radio), DJ PLATURN (The 45 Sessions | Oakland Faders) and weekly special guests. We gather our musical inspiration from Motown, soul, funk and disco with an emphasis on new and classic remixes/edits. Many of these remixes are originals from the family of 60+ DJs and producers worldwide.